Selection rounds to be held in Bangalore & Mumbai. Final 15 racers to be selected at Madras Motor Race Track in Chennai. 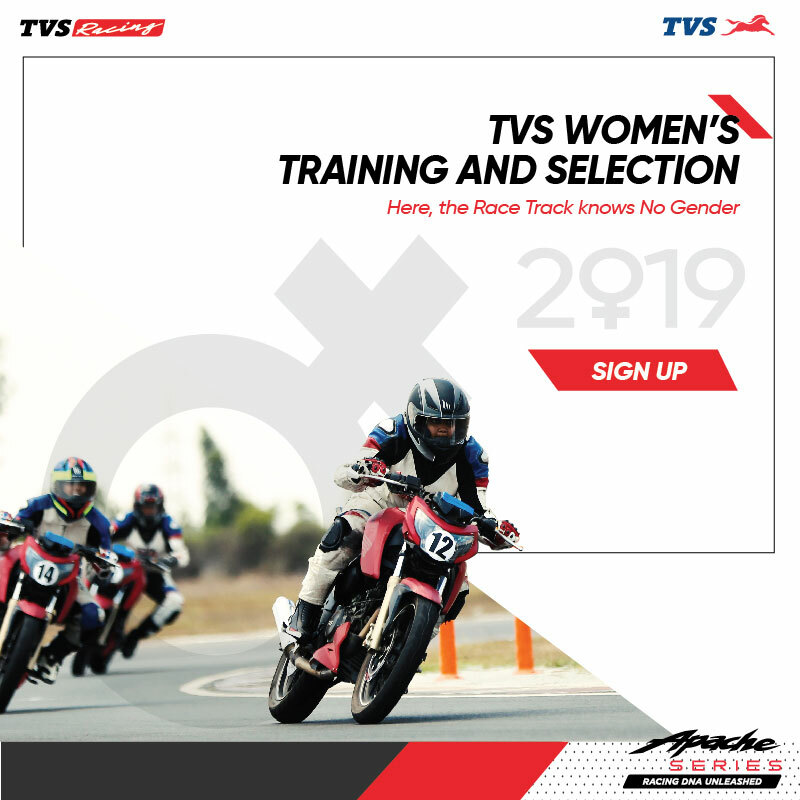 TVS Racing, the factory racing arm of TVS Motor Company, is inviting aspiring women racers to participate in the 2019 edition of the Ladies One Make Championship. The selection rounds will be held in Bangalore and Mumbai on February 9th and February 23rd respectively. These sessions will include a full day training school conducted by national champions of TVS Racing to ensure riders are familiarized with their race tuned TVS Apache RTR 200 4V Race Edition 2.0. We are the only manufacturer in India committed to women racing with 4 consecutive seasons of the TVS Ladies One Make Championship. We introduced this initiative to train and equip talented women riders to enter the mainstream racing arena. With each passing year, I am delighted to see the increasing number of participants, which is a testimony to our effort of creating a gender-neutral space for motorsports in India. I wish all the women participants the very best and hope to see them excited about professional racing. The team will compete in 5 rounds for the championship astride the race tuned TVS Apache RTR 200 4V Race Edition 2.0. 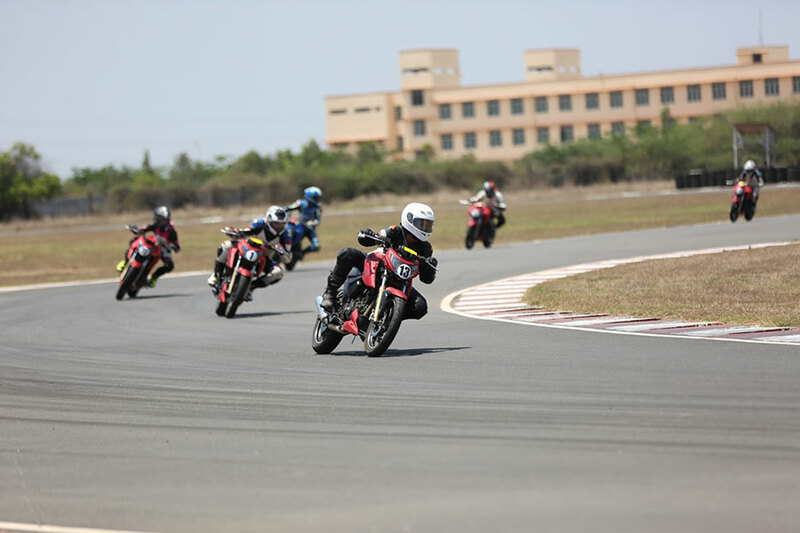 Post the final selection round in Chennai, the racers will undergo specific training under the aegis of the national champion riders from TVS Racing to improve physical fitness and hone their racing skills before the Indian National Motorcycle Racing Championship begins in June, 2019.